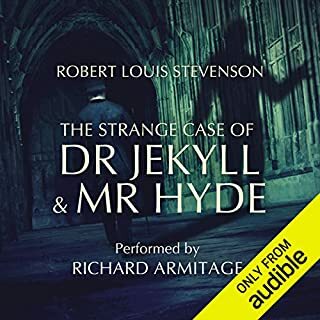 Armitage does not only a wonderful job with the various character's voices, but he even has wonderful timing switching between Dr. Jekyll and Mr. Hyde when the writing suggests that the character has switched. There are various situations (especially in the last chapter) where as Dr. Jekyll is recounting his narrative, he realizes he has become Mr. Hyde and Armitage captures this wonderfully. Yes because we listen to it in the car on the way to my son's dad's. We both know the story and he likes that I know what he is talking about when he jokes about it. The twist on the title. Perfect dog indeed. 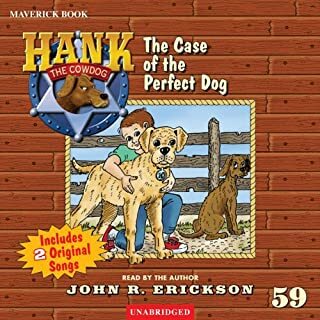 Have you listened to any of John R. Erickson’s other performances before? How does this one compare? They vary a bit. He seems to change up the voices for the characters over time. It is jolting at first but over time I adjusted and could enjoy it like any other. I honestly don't think my noticed though. Could you see The Case of the Perfect Dog being made into a movie or a TV series? Who should the stars be? no, it is too short but the series as a whole could be a kid's animated movie. I don't reccommend it being made into a movie but who is going to ask me. 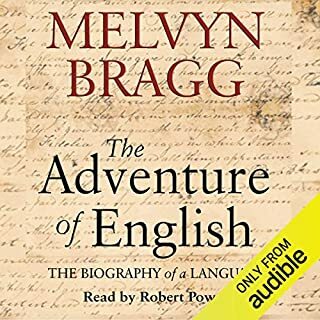 Would you consider the audio edition of The Adventure of English to be better than the print version? I wounldn't know; I haven't read the print version. I find it nice to listen in the car, however. This wasn't a fiction book. I enjoyed the character of English as it progressed. John Wycliff and Chaucer were very interesting participants in the development of English. What about Robert Powell’s performance did you like?